For this example we are using Ordnance Survey MasterMap Topology Layer data. 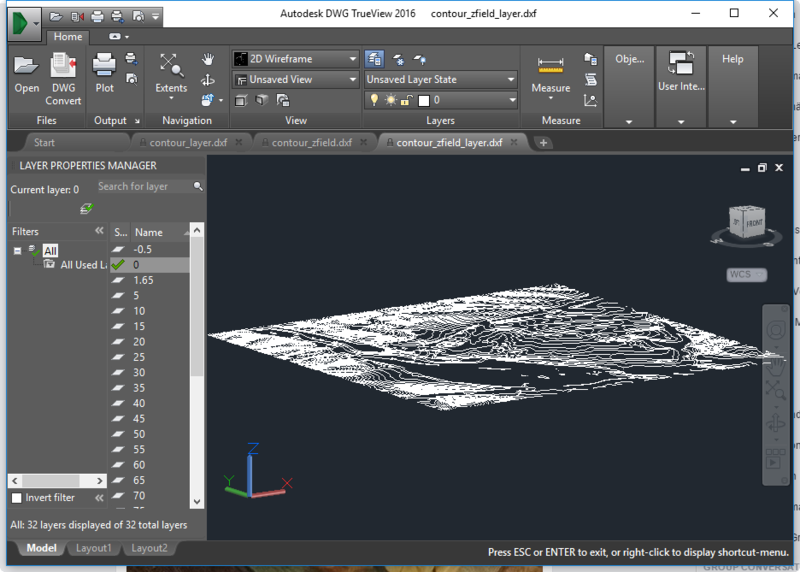 Now we know that we can maintain an attribute through layers, as we saw in the shp to DXF example, the export of MasterMap should be straightforward. Let’s first see what the GML file contains. Had to open data source read-only. So we have 6 layers in total. 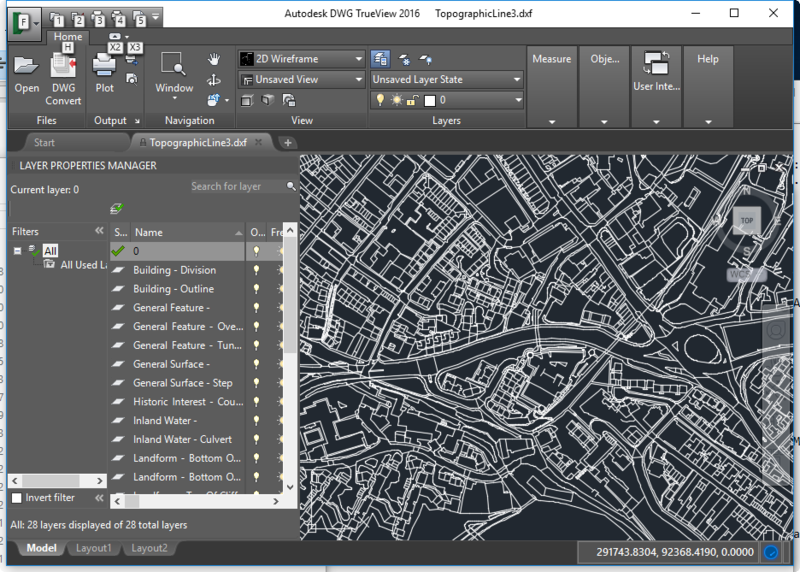 For MasterMap in CAD we will be mainly interested in CartographicText, TopographicPoint, and TopographicLine. For this feature the “descriptiveGroup”” seems the most useful, and from reading the os-mastermap-topography-layer-user-guide.pdf the best would be either a combination of descriptiveGroup and descriptiveTerm or using the featureCode. Since this is a simple conversion we will just use a combo of descriptiveGroup and descriptiveTerm to create our DXF layers. I will be using || for concatenation, which works with the SQlite SQL dialect. 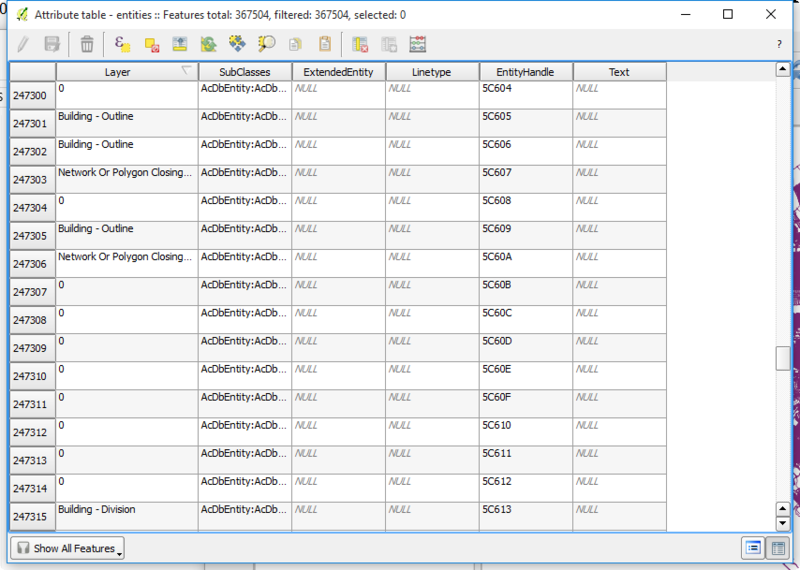 layer names ignored in combination with -sql. ERROR 1: No known way to write feature with geometry 'None'. ERROR 1: Unable to write feature 0 from layer SELECT. ERROR 1: Terminating translation prematurely after failed translation from sql statement. layer names ignored in combination with -sql. ERROR 1: No known way to write feature with geometry 'None'. ERROR 1: Unable to write feature 0 from layer SELECT. Not quite. Seems to be missing geometry, perhaps a SQL select issue. So we do not have any geometry. Lets bring that in. We can see that all of the attributes that are not 0 have both a descriptiveGroup and a descriptiveTerm, which was not what we can see in the ogrinfo summary. So our SQL statement is cutting some out.
! !remove the !! and the space from the word after, the word in question breaks WordPress. But it won’t open in AutoCAD DWG TrueView. 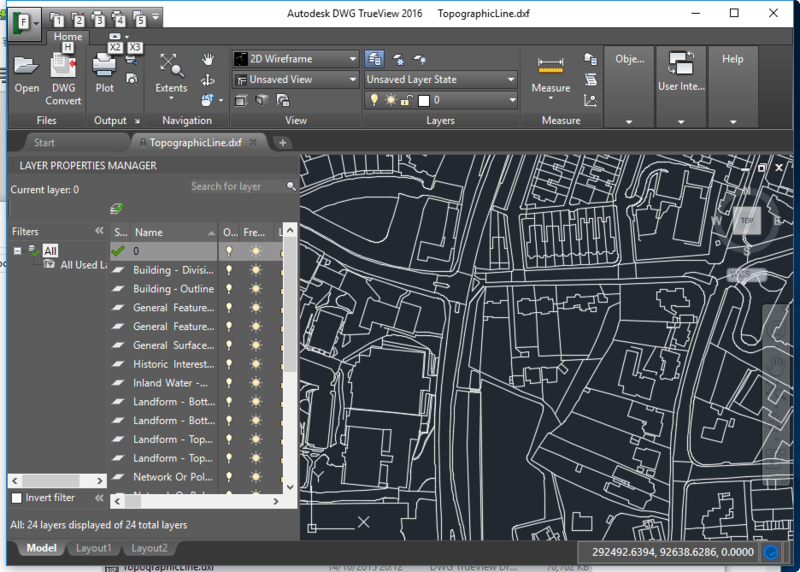 Lets try running it through a ShapeFile format first before the DXF conversion. 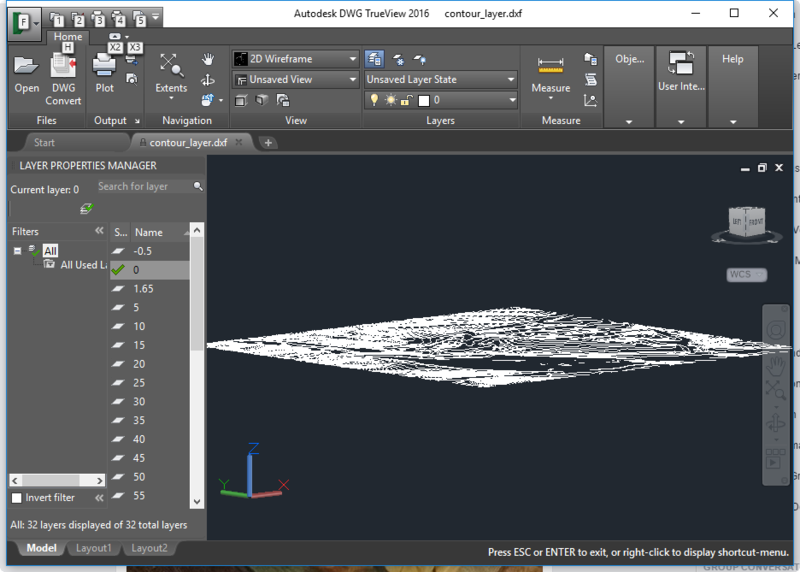 No indication of why a direct GML to DXF conversion would hang TrueView, and your mileage with other CAD software may vary. But ShapeFile is a very simplified geometry format, so perhaps running through that helps with some more complex geometry in the GML. Hard to say with no errors from TrueView, just a stuck program. This entry was posted in All, Data, GDAL, ogr on 10/26/2015 by Heikki Vesanto. The power of GDAL, and specifically ogr2ogr is pretty impressive. 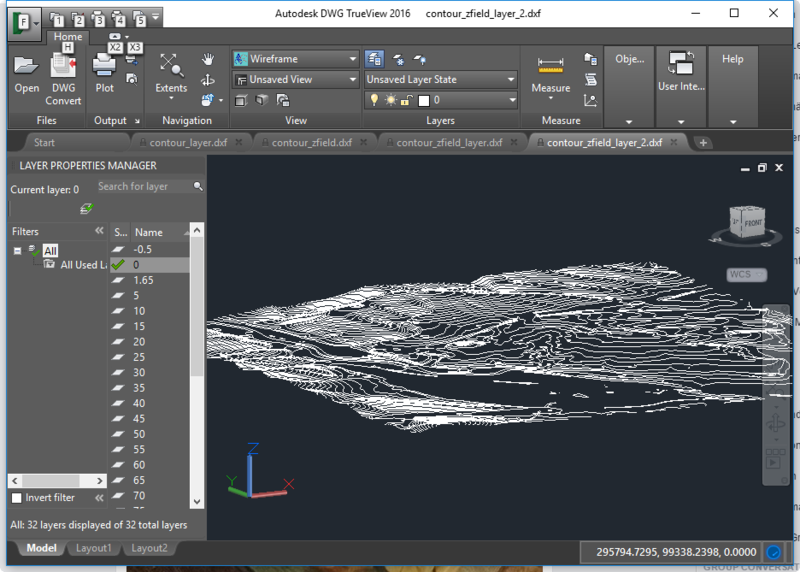 This conversion is from shp to DXF, which is a somewhat universal CAD format so further conversion should be possible. 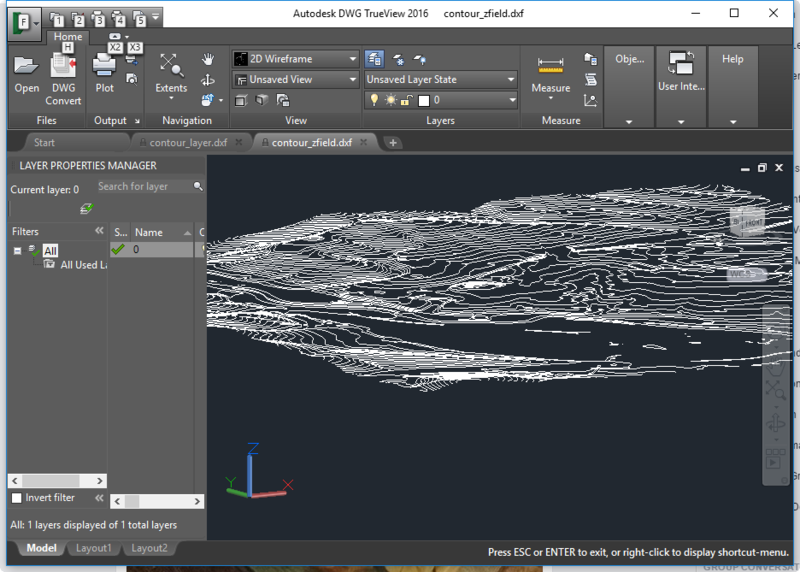 This post will cover contour export while maintaining 3D elevation, in addition to contour values as layers in CAD. The data used is OS terrain 50. With the -zfield creating the 3d elevation. The alternative is to just store the z-value as layers. 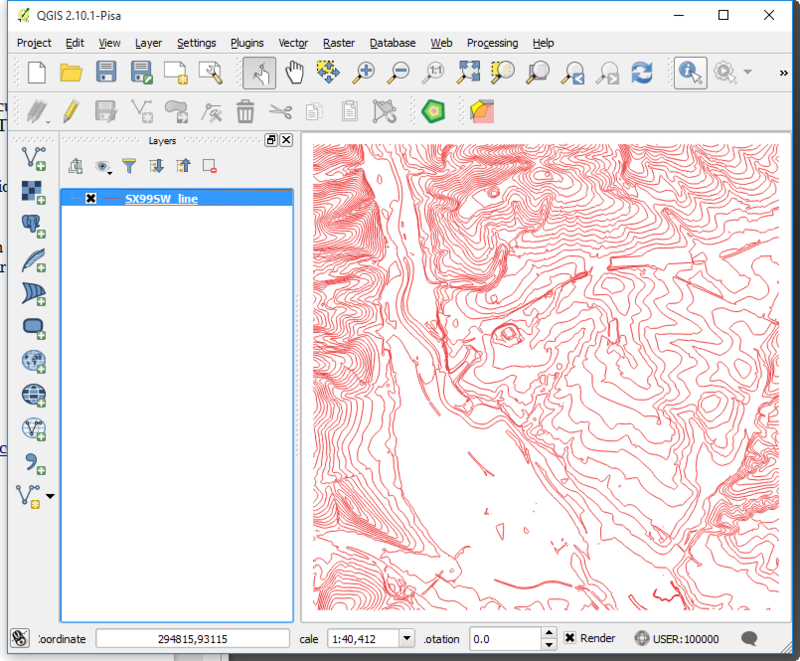 ogr2ogr -f DXF contour_layer.dxf SX99SW_line.shp -sql "SELECT PROP_VALUE AS Layer FROM SX99SW_line"
With the ogr2ogr DXF driver, if you have an input column called “Layer” then it will be used to group features as a layer in DXF. We use a SQL query to achive this. 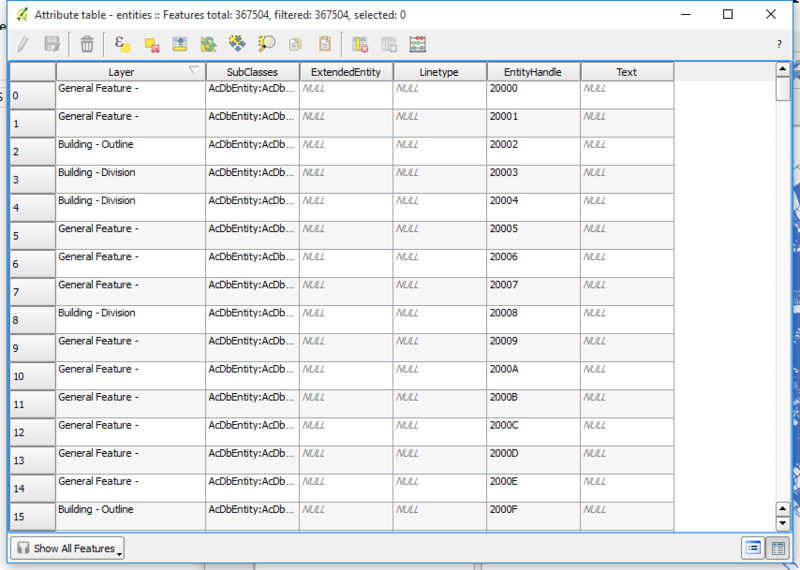 Prop_Value is the height field in my input data. ogr2ogr -f DXF contour_zfield_layer.dxf SX99SW_line.shp -zfield PROP_VALUE -sql "SELECT PROP_VALUE AS Layer FROM SX99SW_line"
ogr2ogr -f DXF contour_zfield_2_layer.dxf SX99SW_line.shp -zfield PROP_VALUE -sql "SELECT PROP_VALUE AS Layer, * FROM SX99SW_line"
This entry was posted in All, Data, GDAL, ogr on 10/19/2015 by Heikki Vesanto. I created a post of the UK rail network some time ago and have been meaning to return to the subject. A good learning experience with NGINX and mobile forwarding. As a final warning, the mobile version is not very good, if viewing on mobile and interested, please try on a desktop. Sincere appologies for that. Leaflet may not be the best mobile platform, although it is probably due to my inexperience with it.